Bob Provost, president, and CEO of New York Tourism and Industry Association (NSYSTIA) has been pretty much everywhere in New York State, from Long Island to the Thousand Islands. He currently resides on a small farm in northern Rensselaer County. When Bob joined NYSTIA as a member in early 2017 he had no idea he would be joining the staff as president and CEO in September of 2018. He felt that there was tremendous potential yet to be realized in the organization and terrific people to work with. Prior to joining NYSTIA, Bob enjoyed success as chief marketing officer with the Hearst newspapers in Albany, New York from 1987 to 2005. He then served as CMO of the Star-Ledger, Newjersey.com. During his time there, Bob campaigned for a more structured, proactive tourism infrastructure in the Garden State. In 2015 Bob transitioned from his role as a media executive to become president and CEO of the Greater Newark Convention and Visitors Bureau where he dramatically upgraded digital marketing and international outreach, achieving increases in occupancy, average daily rate, and welcome the first new hotels in that market in decades. Bob has worked with students throughout his career as a faculty member at Sienna College and Rutgers Business School, and with hundreds of interns. He has served on the boards of many institutions, colleges, cultural and arts organizations, chambers and CVBS, as well as social service organizations. 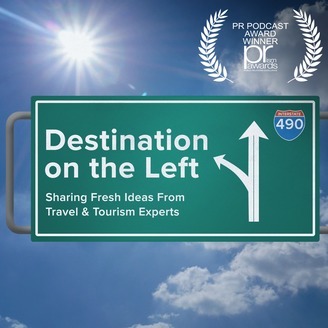 On this episode of Destination on the Left, I talk with Bob about the economic impact of tourism, and how to really listen to residents and help them understand and embrace the positive impact of tourism. He says, improve the visitor experience and you will improve the resident experience. Find out how to get neighbors and business owners on board and treat tourism as the economic development engine it is. Too often, the wider economic impact of tourism is overlooked by residents. Bob wants to change that by helping people involved in tourism change the narrative. 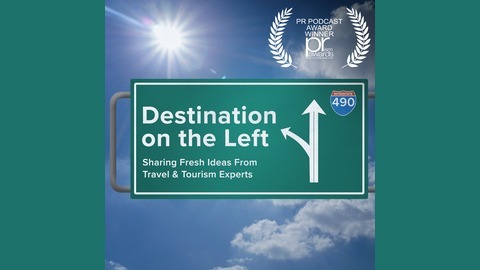 Bob shares how if your tourism sector is successful, then you will have revitalized downtowns in small towns as well as jobs and small business success. Tourism also reduces their tax burden and increases employment opportunities. It enhances the quality of life choices that are available to them by supporting restaurants, attractions, and other leisure opportunities. Bob wants the business community to understand how they can hitch their wagon to that visitor economy and increased sales and success. If you don’t evolve, change is going to be a lot more traumatic. Making a smaller, incremental change on a consistent basis allows you to move forward as an organization and thrive. That’s the philosophy he is embracing for NYSTIA and one that we all have had to learn – hopefully not the hard way!